After making noise during its debut, Jordan Brand is set to make waves once again with a new batch of colourways of the Jordan CP 2’Quick this October. 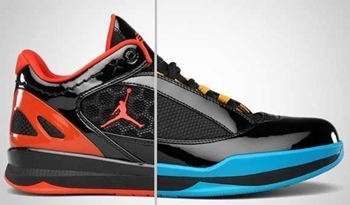 This low-cut Chris Paul model, which gives guards a new low-cut look inside the hardcourt, will come out in White/Dark Concord – Black, Black/Team Orange, Black/Sunstone-Orion Blue colourways this October, giving us a lot of choices that are all equally impressive. So if you are looking to have a new look this month, then choose from these three new CP 2’Quick and you will never regret it!